This New Year’s Eve, you probably made a lot of promises to yourself. The usual work out more, stop eating so many Cronuts, quit drunk-tweeting, etc. But, maybe you had some other vows, too, motivating you to live a little. Like,stop living through other people’s Instagram feeds, get out of your same ol’ rut, or make this your Year of Yes. Well, you’re only a month into 2014, so you have time to make those dreams a reality, see the world beyond your desk — hell, maybe even past Starbucks. But, if this is indeed going to be your year of adventure, you’ll need a little guide to what’s out there beyond the been-there-done-that vacations that might be good but not life-changing. Ahead, we’re sharing 29 of the coolest trips you could ever take. From catching the northern lights in Iceland and sleeping in a Bedouin tent in the Omani desert to hitting up a 12-acre wine festival in France and learning to drive on ice in Finland, these journeys run the gamut. In 2014, you could discover a mecca for whiskey lovers, the best foodie spot in the States right now, or the coolest surf school we’ve ever seen. You also could stay at a hip French hotel for under $100 or at beachfront locales in Thailand and Mexico with rooms for under $150. Seriously, this could be your year. Whether you’re an art junkie, obsessive foodie, or in need of some time off the grid, there is a global adventure here with your name on it. PHOTO: COURTESY OF THE MANTA RESORT. Sleep with the fishes (alive — not The Godfather style) in the underwater hotel room at the Manta Resort. 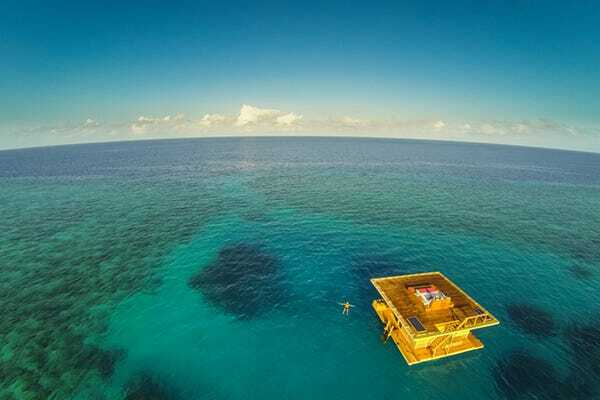 Located 800 feet offshore, the unique room features a roof deck, floating living room, and a totally submerged bedroom with windows that give you a shark’s-eye view of life in the Indian Ocean. If just the thought gives you seasickness, stay at one of five beachfront eco-cottages on unspoiled Shamiani Island 15 minutes by boat from Pemba, where rooms start at $165 a night. PHOTO: COURTESY OF HOTEL ESCONDIDO. The 16 Grupo Habita hotels inspire totally cultish devotion. And, for good reason — GH hotels boast a playful, yet totally cool, design aesthetic, amazing locations, and prices that actually put this vacation within reach (gracias!). 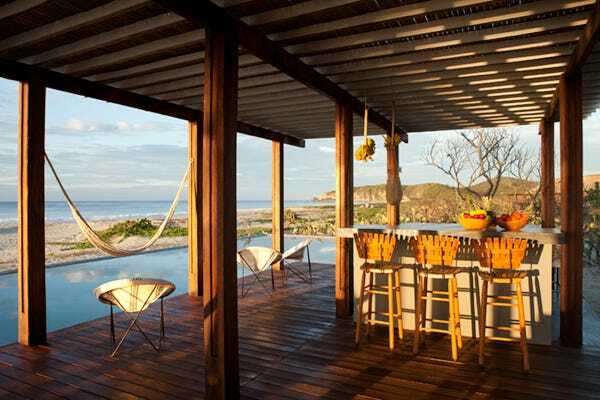 Its latest property is in the low-key surf town of Puerto Escondido on the Pacific. Sixteen beach bungalows offer a contemporary, airy take on the traditional Oaxacan beach hut. With an underground disco, a mini spa, top-notch surfing nearby, and rooms that start at $185 a night, you have reason to shake your maracas. If the idea of a groomed ski trail seems boring to you, then pack your helmet and head up to Red Mountain Resort. This mecca for powder hounds located more than two hours north of Spokane, WA, boasts some of the steepest tree skiing in North America. This year, it’s included an additional mountain in its ski terrain, adding 1,000 acres of runs and almost doubling the size of the resort. And, for those of you who like things a little bit less wild, it’s also added more intermediate trails, too. 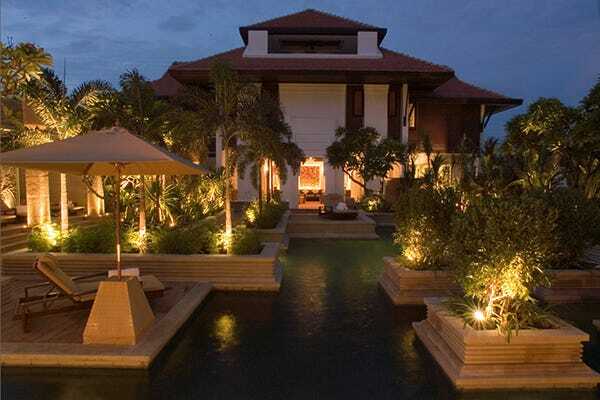 PHOTO: COURTESY OF CHEDI RESORT IN MUSCAT. Have travel ADD? Oman has a little bit of everything — from white-sand beaches to sophisticated historic cities to rugged mountains and endless desert. You can spend the night in the Wahiba desert sleeping in a handmade Bedouin tent at Hud Hud Travels‘ luxe tented camps. Or, explore the historic city of Muscat’s lively souks and 17th-century fortresses. 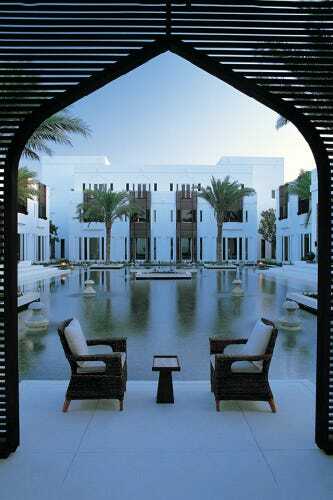 The new Chedi resort in Muscat is set between the Al Hajar Mountains and the Gulf of Oman. Or, just bliss out on the beach at Anantara Al Madina A’ Zarqa Oman resort by the crystal-clear waters of the Gulf of Oman. PHOTO: COURTESY OF UXUA CASA. If you are among the soccer-obsessed masses heading to stadiums across Brazil to watch the FIFA World Cup this summer, consider taking a break from the madness at two of Brazil’s coolest boutique hotels. 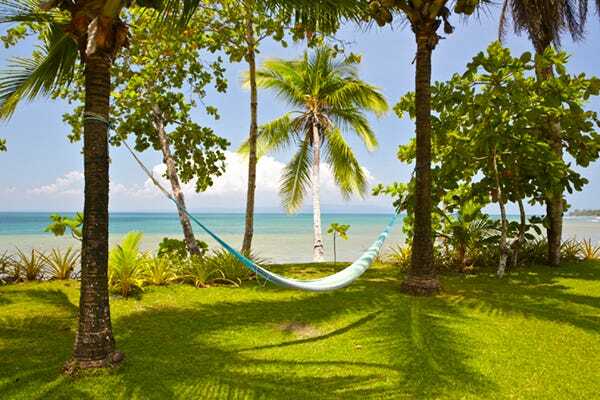 Choose between tree-house digs or colorful former fisherman’s cottages at Uxua Casa. The hip getaway is set in Trancoso, a vibrant village that attracts the global jet set (DVF, Naomi, Gisele — you get the idea). Or, try Picinguaba Posada, located between Rio and São Paulo in the Serra do Mar National Park. With no Internet, phone, or TV, it’s the polar opposite of all that World Cup insanity. PHOTO: COURTESY OF ION HOTEL. For a totally trippy, mind-blowing experience — no drugs required — head for the northern lights. Technicolor waves of intense color fill the night sky thanks to collisions between the sun’s electrically charged particles. According to NASA, the lights are at their peak this February through April and best viewed near the magnetic North and South Poles. 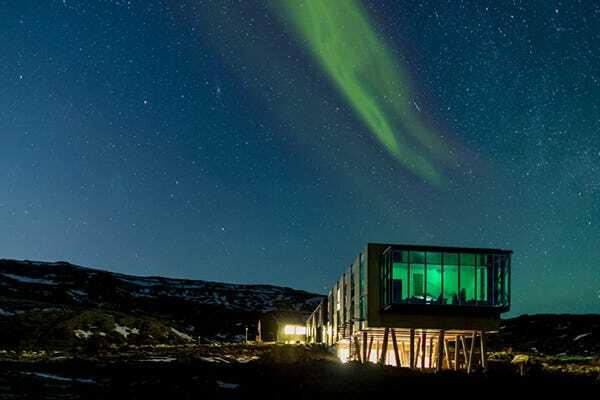 The Northern Lights Bar at the glass-walled ION Hotel, an hour outside Reykjavik, offers a prime viewing spot to trip into the light fantastic. Groovy. PHOTO: COURTESY OF SECRET BAY. Forget the cruise-ship hoards in St. Thomas, say goodbye to the casino rush in Aruba, and check out the totally off-the-radar, unspoiled island of Dominica in the West Indies. 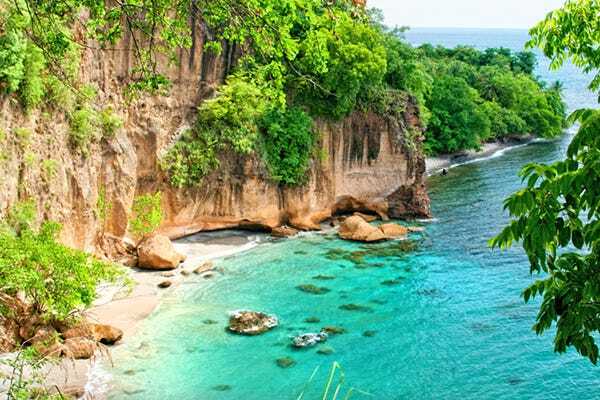 Twice the size of Barbados with only 20% of the population, Dominica is a lush island with waterfalls, sea caves, hot springs, and rain forest. The romantic Secret Bay resort has six tree-house villas perched on a breathtaking cliffside location with a secluded beach. Shhhh! PHOTO: COURTESY OF WOODFORD DISTILLERY. 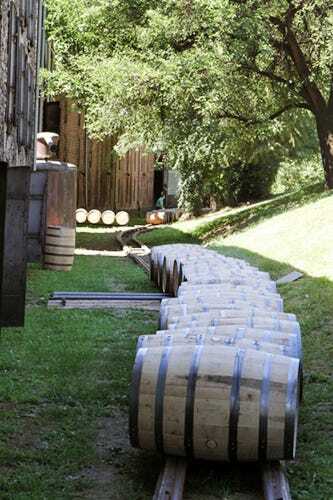 If you are among the whiskey-obsessed, then a pilgrimage to the birthplace of Kentucky’s native drink is in order. Evan Williams was the state’s first commercial distiller back in 1783, and his namesake brand is the second-best-selling bourbon in the world. The just-opened Evan Williams Whiskey Experience in the heart of Louisville’s Whiskey Row celebrates the spirit with tours and tastings. But, this distillery is just one stop on the Kentucky Bourbon Trail, which includes Four Roses, Jim Beam, and Maker’s Mark. Cult brand Angel’s Envy will open the doors on its downtown distillery later this year. We’ll drink to that. PHOTO: COURTESY OF RED SAVANNAH. Art and culture junkies and foodies will find nirvana in Cape Town this year. Named the World Design Capital 2014, 450 interactive art and design projects are set to transform the city. Events include public art installations (turning homes into galleries and living canvases) as well as open-studio days to visit with the city’s most exciting artists. 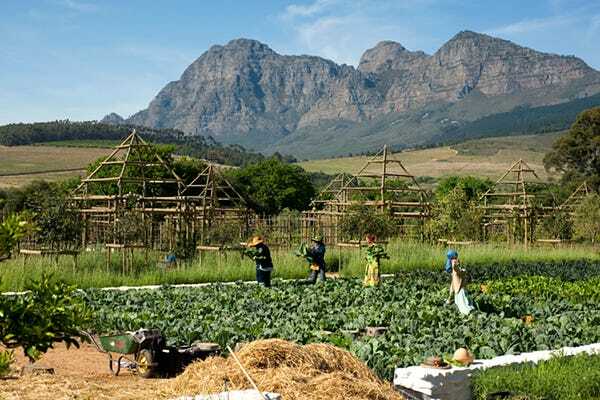 Red Savannah’s gourmet South Africa tour lets guests visit top vineyards including Stellenbosch, the Hemel-en-Aarde Valley, and Constantia along with a five-course lunch at celebrity chef Bruce Robertson’s home. PHOTO: COURTESY OF VIK RETREATS. The former sleepy fishing village turned bohemian beach escape has become one of South America’s chicest new destinations thanks in part to the recently opened VIK retreats. 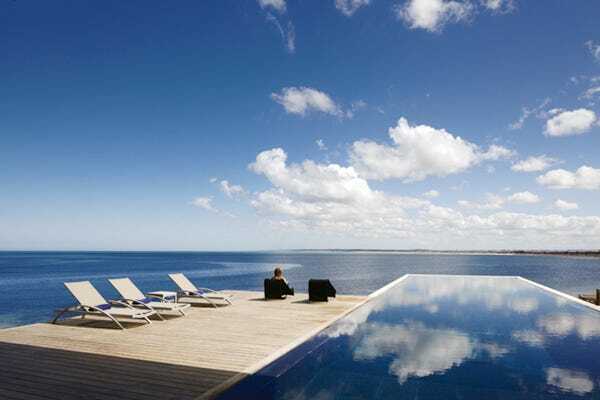 The VIK trio of hotels pair red-hot contemporary art, cutting-edge design, and architecture with a glamorous setting. Estancia Vik is set on a 4,000-acre ranch, while Playa Vik’s stunning, modernist hotel overlooks the Atlantic. Its newest hotel, Bahia Vik, is right next door to Playa and opens this summer with 11 unique bungalows nestled in the dunes. Plus, the new beachfront restaurant La Susana serves up Uruguayan delights to the jet-set crowd. PHOTO: COURTESY OF RESTAURANT RADIO. “The epicenter of the foodie world,” according to Travel + Leisure, this inventive and exciting food scene is reason alone to visit. Tables to book are the two two-starred Michelin restaurantsNoma for adventurous, unusual Scandinavian (squid and fennel, anyone? 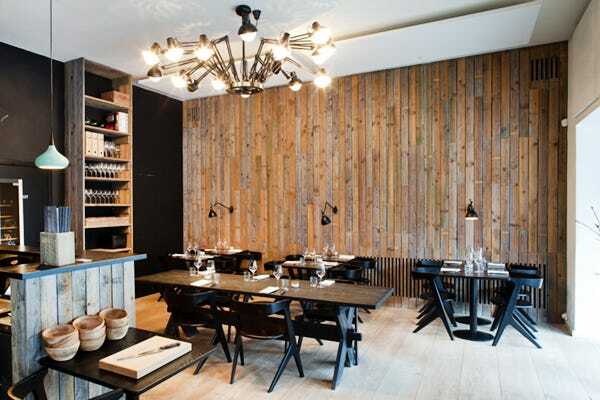 ), and Geranium for cutting-edge Nordic cuisine and a vegetable-centric menu. Michelin-starred Kadeau serves surprising dishes like spelt, pine, and mushrooms (hmmm). Just be prepared for prices to match the accolades. Smaller, and more reasonably priced, foodie spots that have everybody raving are Relæ and Radio. PHOTO: COURTESY OF SAL SALIS. While the Great Barrier Reef gets all the attention, Australia has another awe-inspiring destination worth the hours of flight time. 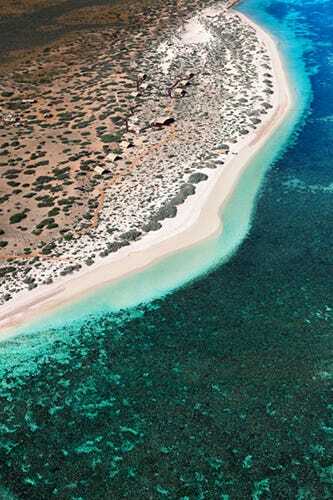 The 260-kilometer-long World Heritage Ningaloo Reef is right off the beach on the country’s west coast, and it’s teaming with whale sharks, sea turtles, and fish galore. Book one of nine wilderness tents nestled in the dunes of Cape Range National Park at Sal Salis. If you are planning a multi-pronged trip, book a few nights in Sydney — a major foodie destination. PHOTO: COURTESY OF HOTEL NIEBURGS. The next Prague? The formerly under-the-radar city of Riga has all the ingredients that have made Prague so irresistible — romantic architecture, rich history, reasonable prices, and charm galore. There are medieval houses, more Art Nouveau buildings than any other city (800+), and centuries-old cobblestone streets. This year, the city steps out of the shadows as an E.U.-designated Capital of Culture. 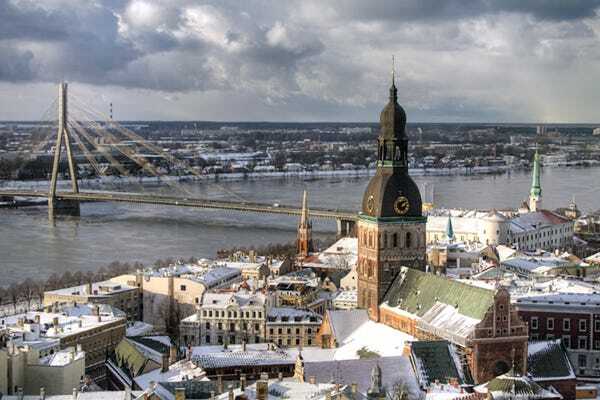 Visit in July, when Riga plays host to the World Choir Games, the Olympics of singing. Book a room at the beautifully designed Art Nouveau Hotel Nieburgs. Lodging starts at $135 a night. PHOTO: COURTESY OF LOVE BEVERLY HILLS. If any place understands the power of the right backdrop to evoke a mood, take you back in time, or get the party started, it’s L.A. In honor of Beverly Hills’ 100th anniversary, five of the town’s top hotels are redecorating one suite inspired by a bygone decade. So, step into your jumpsuit and your strappy heels, and channel Bianca Jagger at the ’70s-inspired Suite 100 at L’Ermitage Beverly Hills. Or, throw on a trench, sunglasses, and who-knows-what underneath, and stealthily check into the Montage Beverly Hills film noir suite. Or, just play Marilyn by the pool at the Beverly Hills Hotel, and blow kisses at your adoring public. Want to become a seriously badass driver? Try honing your driving skills on ice with Bentley’s team of extreme-driving instructors. 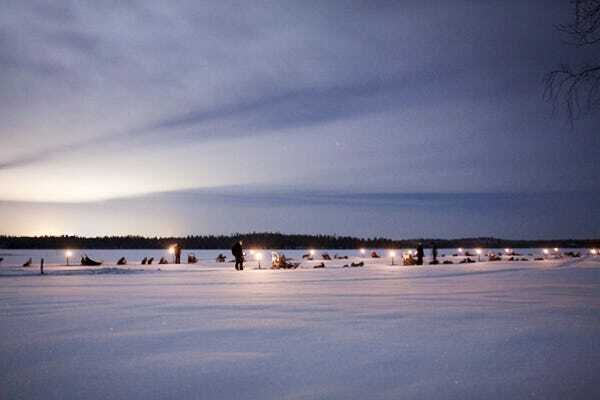 The four-day adventure driving school takes place this February in Finland on remote frozen lakes that are transformed into race courses. When you’re done learning to handle high-speed turns without losing control, step into a traditional Finnish smoke sauna, or hop on a sled led by a pack of Siberian huskies for a nighttime ride through the snow. The experience will cost you, though. Prices start at $15,000. PHOTO: COURTESY OF PIKAIA LODGE. With 22 islands 600 miles off the coast of Ecuador, the Galápagos are a total bucket-list destination for adventurous types and science geeks (the islands’ hundreds of animal species inspired Charles Darwin’s theory of evolution back in the day). The new Pikaia Lodge offers explorers a glamorous, modernist alternative beyond the region’s rustic hotels (adios, tents!) and cruises (goodbye, seasickness). 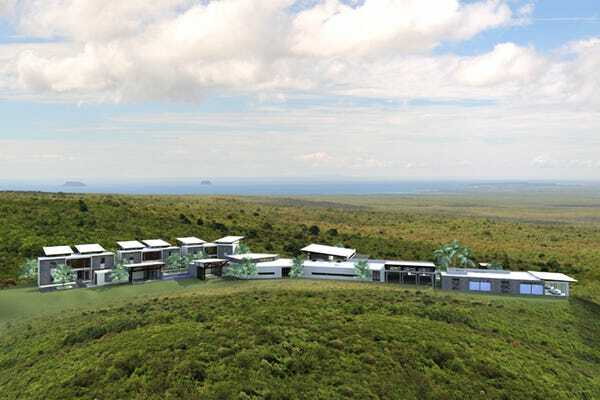 The 14-room, totally carbon-neutral property is 100% solar- and wind-powered, and it’s located next to a giant-tortoise reserve and secluded white-sand beach. PHOTO: COURTESY OF SHAKESPEARE’S BIRTHDAY. Looking for your Romeo? Perchance he’ll be celebrating the 450th birthday of the world’s greatest playwright this April. 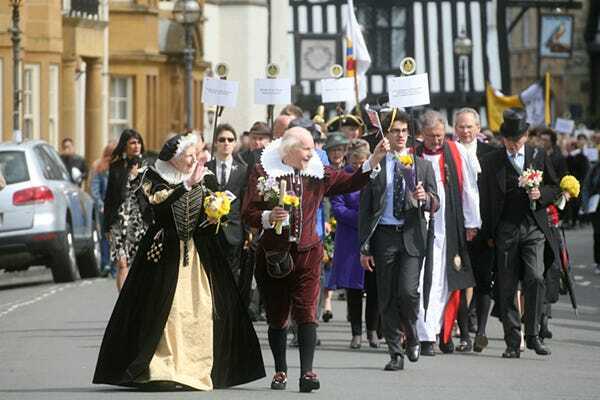 The two-day party takes place in the town where Shakespeare was born and died (on the same date — how poetic!). Expect costumes, music, street entertainers, acting workshops, readings, and plays, of course. The events take place on April 26 and 27. PHOTO: COURTESY OF THE PARK HYATT. With a burgeoning art scene, Siem Reap has become so much more than a base for visiting nearby Angkor’s ruins and temples. At the glistening new Park Hyatt, contemporary artists-in-residence including potter Amy Lee Sanford, sculptor Mao Soviet, and polychrome painter Lim Muy Theam display their work. Meanwhile, the McDermott Gallery sells haunting photographs of the region done by John McDermott. And, check out (or into) the 1961 Artists Retreat and Creative Space to see work by local artists, poets, musicians, and writers. PHOTO: COURTESY OF LODGE AT BIG SKY. There are so many reasons you should be skiing at Big Sky. It has more ski-able acres than any resort in the country (5,400!) — and more trails, too (an astonishing 250). Plus, you avoid that whole glamazon ski scene you tend to get in places like Colorado (don’t you leave New York to get away from New Yorkers?). 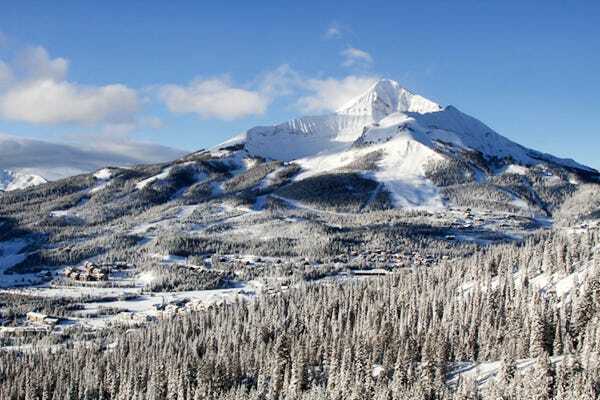 And, forget the icy trails of the Northeast; Big Sky had 342 inches of snowfall last year. Even better, you can still find a reasonable slope-side room — the Lodge at Big Sky starts at $169 a night. You’ll never want to ski on ice again. PHOTO: COURTESY OF HUAPLEE LAZY BEACH. Does the polar vortex have you wishing you were on a beach in Thailand? Laid-back Pranburi, located three hours from Bangkok, offers secluded beaches, authentic Thai culture, and affordable beachfront boutique hotels. 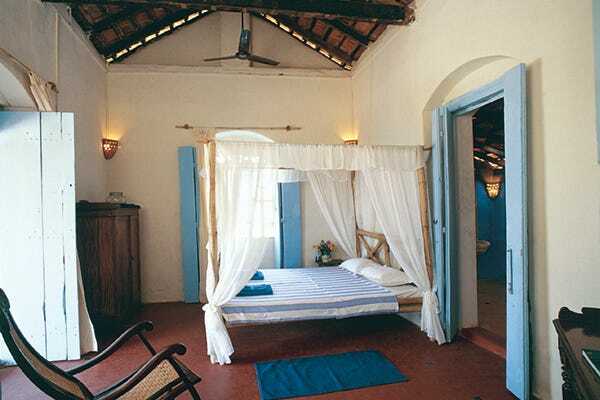 The Praseban Resort’s 14 colorful, contemporary rooms start at $125, while the eight cozy, whitewashed rooms at Huaplee Lazy Beach start at $103 and include breakfast. We’re there. PHOTO: COURTESY OF MAMA SHELTER. Leave it to the French to create the ultimate wine festival. The four-day Fête Le Vin covers 12 acres in the heart of the historic city, with wine stalls stretching for two kilometers (no, that’s not a typo). Sample vintage and local wines, meet France’s top producers, take master classes courtesy of the Bordeaux wine school, check out some fireworks, rock on at the music festival every evening, and hit some local vineyards. Tasting passes start at $20, and vineyard passes begin at $115. 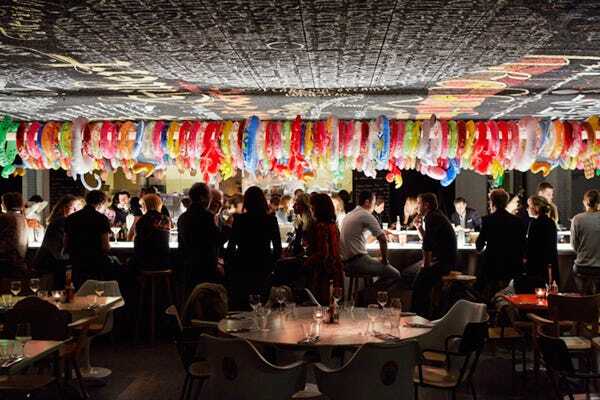 After all that, rest your very happy (and definitely buzzed) head at the new, very happening Philippe Starck-designed Mama Shelter, where rooms start at $95 a night. The festival starts June 28. Since the end of the revolution in 2009, this Indian Ocean island has been on the radar of intrepid travelers looking to discover the country’s rich culture, lovely beaches, and storied history. To get the full experience in a short trip, try In Style Sri Lanka’s seven adventures, including one surrounding the The Kandy Perahera festival, which celebrates with dancers, drummers, fire jugglers, and baby elephants. 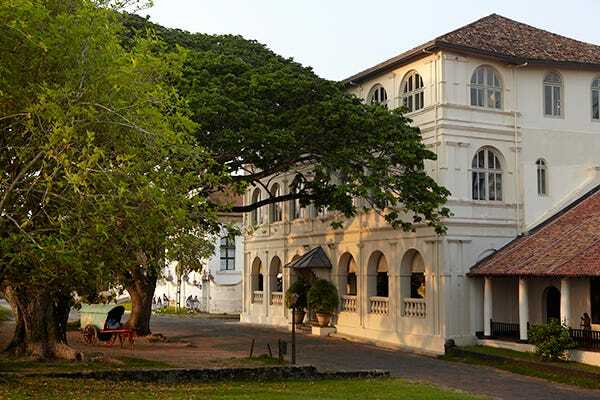 Red Savannah’s two-week Sri Lanka itinerary includes exploring fifth-century fortresses, hiking through tea plantations, going on a leopard safari, and enjoying the charms of a beachfront Indo-Colonial hotel. PHOTO: COURTESY OF TWO BOROUGHS LARDER. Stateside, the most exciting foodie scene is happening in Charleston, South Carolina, with a spate of exciting chef-driven restaurants. James Beard Award-winning chef Sean Brock’s two restaurants McCrady’s (which put him on the map) and Husk (with a menu that changes daily) are must-visit destinations. 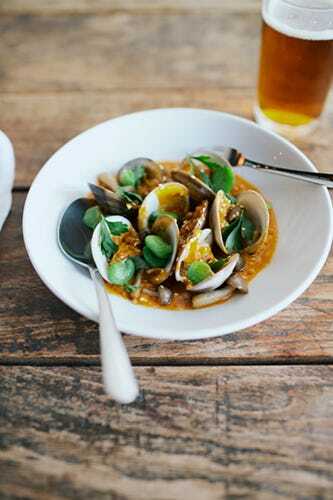 Meanwhile, Mike Lata, another James Beard chef, followed up his locavore-favorite Fig with The Ordinary, a splashy oyster bar and seafood brasserie. For local, Southern ingredients with a global twist, head to neighborhood spot Two Boroughs Larder, run by Heather and Josh Keeler. PHOTO: COURTESY OF SORIDO BAY. Looking for someplace seriously far-flung? Beyond remote? We’ve got it. Just fly to Jakarta (approximately 23 hours from NYC with one stop in Abu Dhabi). Get a four-hour flight to Sorong. 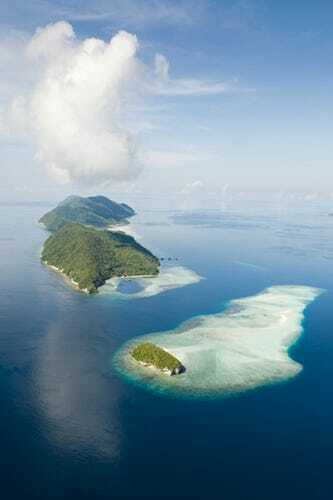 Then, hop on a two-hour boat ride to Kri Island, one of 1,500 small islands, cays, and landforms scattered around the four main Raja Ampat islands. Hellish trip? Yes — but so worth it. Marine-life diversity in the area is the highest ever recorded, with more than 1,500 types of fish and over 500 varieties of coral. Nirvana for divers and snorkelers. If you want to see more fish than people, check into dive resort Sorido Bay, which only takes 20 guests at a time. PHOTO: COURTESY OF BLUE OSA. If your idea of a vacation involves coming back totally revived and rejuvenated (rather than worn out and hungover — ahem, Miami), then head to this wild and remote corner of Costa Rica. Chic rooms, a jungle-meets-the-beach setting, yoga every day, farm-to-table meals, an Ayurvedic spa, and spotty/no cell service (now, that’s relaxing). Packages at Blue Osa start at $1,499 for seven nights, including meals. Sign us up. PHOTO: COURTESY OF FELLAH HOTEL. With the vibrant souks, dazzling hotels, and dreamy backdrop, Marrakech is already a dream spot to visit. But, a new hotel 10 miles from the city in the Atlas mountains is a destination unto itself.Fellah’s contemporary take on Moroccan design is cool on its own, and there’s also French-Moroccan cuisine and a spa. But, the fact that the hotel is paired with an arts and cultural center is what really stands out. You’ll meet the artists-in-residence, check out the work of emerging artists, catch a film screening, listen to a reading, or dance the night away. Creativity and unique experiences await — from learning Thai boxing to picking out eggs from the chickens at the hotel’s small farm to enjoying local street food at the Sunday brunch run by local villagers. 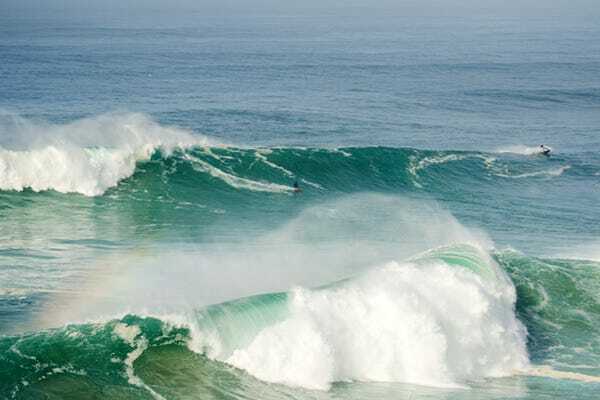 PHOTO: COURTESY OF THE SURFER’S LODGE. While the whole point of the Surfer’s Lodge is to surf, this hip school/hotel offers lots of reasons to hang around. 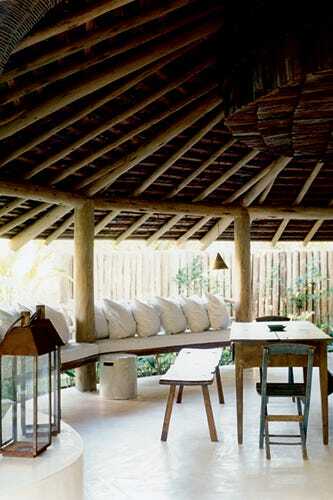 Start with homey, yet fun, room design inspired by places like Bali or Woodstock or pop-culture icons like The Beatles. Plus, the food is local, organic, and rustic at the restaurant helmed by a Swedish chef. Then, there’s the sweet rooftop pool. The surf school/hotel offers customized programs for every level. Beginners learn balance on skateboards first, while experts hone their skills in the Atlantic. PHOTO: COURTESY OF JOHN MUIR WAY. 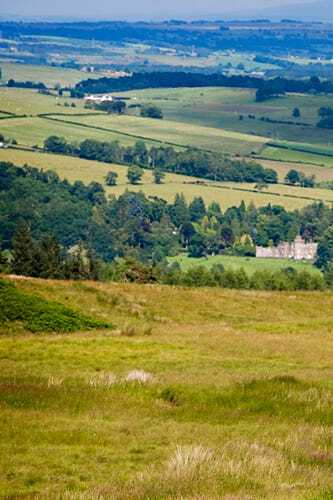 The moors, the wave-battered cliffs, the highlands, the castles — the Scottish landscape is breathtaking. Take it all in while hiking the new, 100-mile John Muir Way. The scenic trail officially opens in April to honor the 100th anniversary of the legendary conservationist’s death. It begins in the Sierra Club founder’s birthplace and winds its way past 15th-century castles and the heart of Edinburgh to the waterfront town of Helensburgh. Kilts optional. It has a reputation as India’s party central, but Goa has a more grown-up side — 65 miles of coastline, colorful colonial architecture, vibrant markets, and attention to wellness add up to an intriguing escape. The Anjuna Flea Market is a treasure trove of handmade jewelry, vibrant textiles, and vintage furniture. Ashiyana on unspoiled Mandrem Beach offers yoga retreats along with an Ayurvedic spa. And, Elsewhere’s four colonial beach houses and three tent cottages provide a totally secluded — and rustic — beachfront getaway. I have to travel a lot for my business, primarily in Europe and Asia, but often all over the globe. I used to use sites like Travelocity to book my hotels, but I stumbled upon the better way. I must have saved over 3,000 Euros since I started using them. I sincerely believe that using only one of the top booking sites is not necessarily the best comment_content_IDea.